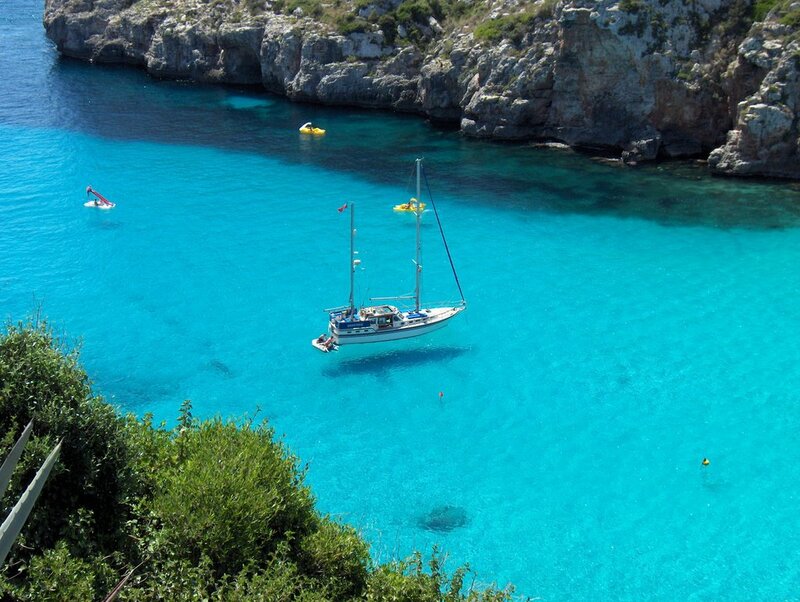 As typical in Menorca, the water is crystal clear and ideal for snorkeling. Pedalboats and umbrellas are also available. 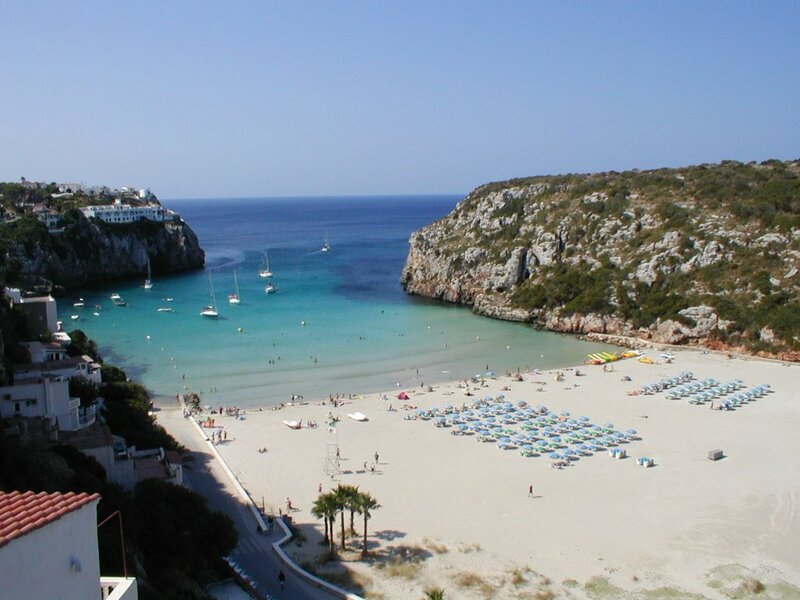 The beach is popular among families, which is no wonder considering that it is located right next to the town with restaurants, shops and hotels nearby. If you are going to Cala en Porter, make sure not to miss one of Menorcas popular attractions Caves of Xoroi that are located on top of the left side cliff. The legend says that man called Xoroi has carved these caves into the rock. The views are totally magnificient but a bit pricey, 15€ to get in. The price includes one drink however. Around 11pm the caves turn into bar and night club. There is a free parking lot almost next to the beach.